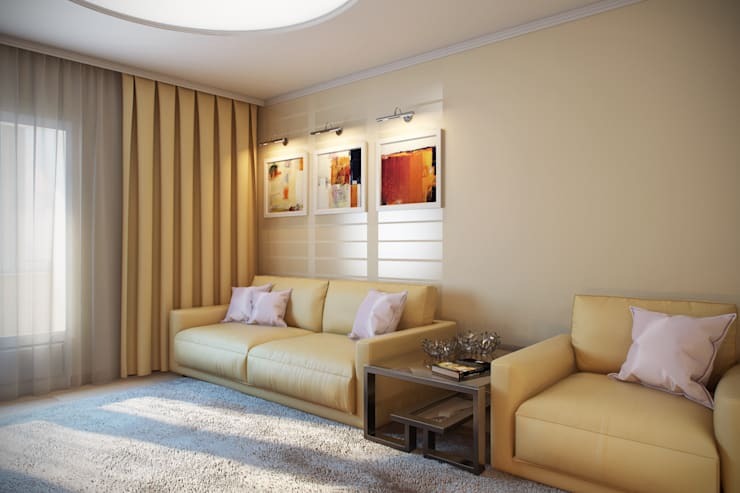 Certain houses and apartments seem pretty ordinary in terms of interior design; and then there are those that flaunt so many stylish touches and lavish designs that one immediately feels like royalty upon seeing them – can you just imagine what it must be like to live in such a sophisticated space? Today we thought we’d treat ourselves (and you, of course) to one such an extravagant space that is bursting with glossy finishes, streaks of opulent colour and glowing illumination. For those of you who want your interior space to flaunt a sense of modern elegance and superior sophistication, this is definitely one apartment to use as example! 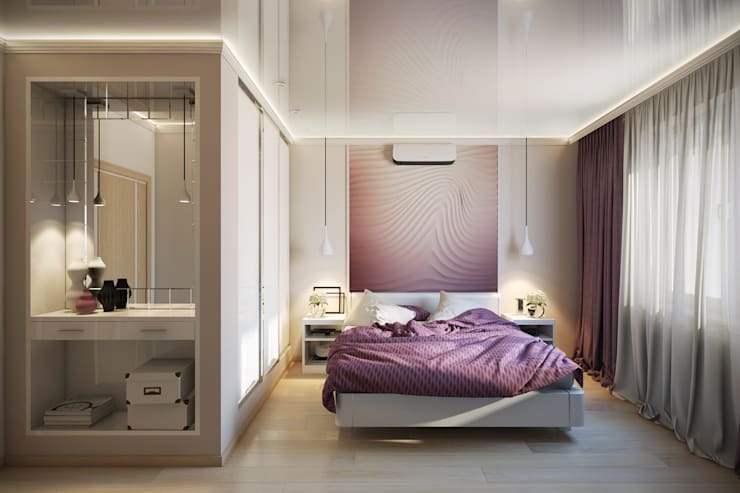 You know that, here on homify 360°, we usually start our tour at the exterior façade or in the hallway/living room. However, this main bedroom just flaunts such a rich and lavish vision that we couldn’t wait any longer! By dividing the space to include a large closet complete with built-in dressing table, this room presents a uniquely practical side in addition to its opulent look. And even though the predominant colour palette is made up of light creamy hues, we just can’t ignore the piquant purple touches scattered all over the room. On to the little one’s sleeping space, where a little more (and darker) purple has been added in. 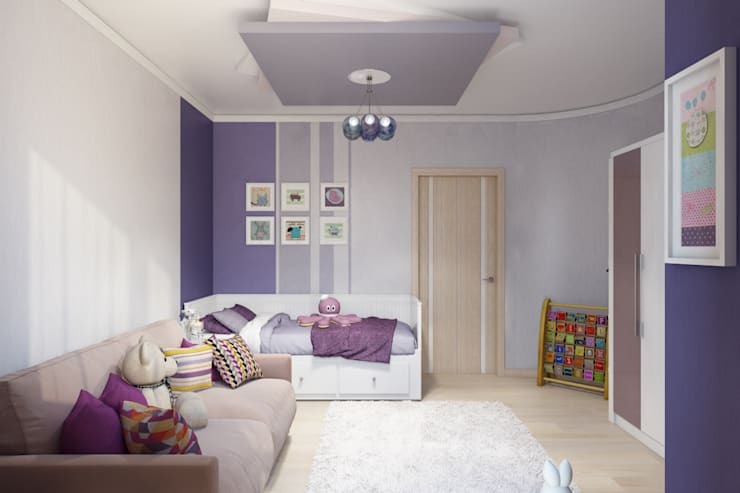 Even though this is undoubtedly a child’s bedroom, it still presents a very sophisticated look thanks to the sofa, patterned scatter cushions and the way in which the walls have been coloured (very geometric instead of themed). And just check out that dashing ceiling light! On to the heart of the home, and what an utterly divine kitchen this is! Cream and beige adorn the cabinetry, which also shows us some metal accessories and hardware to ensure a contemporary touch. But it is that colour on the backsplash and focal wall that really stands out for us. What an ingenious colour choice that is slightly feminine, slightly soft, yet full-on elegant. It’s not many kitchens that manage to successfully combine all three characteristics in such a graceful manner. 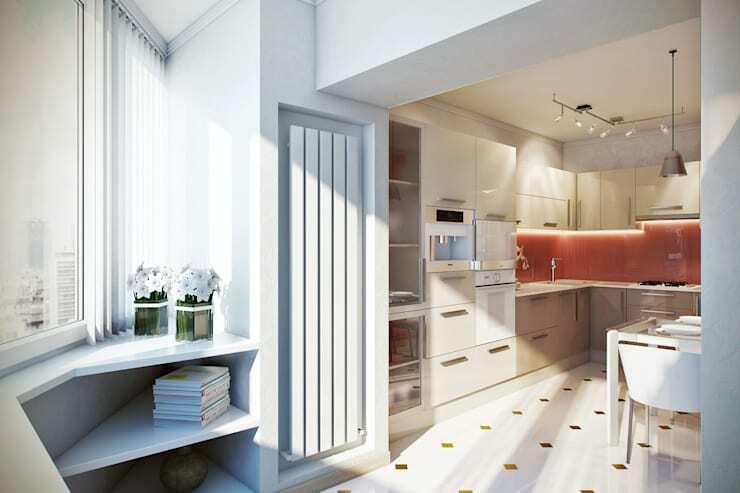 Thanks to generous glass panes, natural light filters indoors and reaches the kitchen area. The fact that it gets to bounce around creamy- and white toned surfaces makes it all the more dazzling. 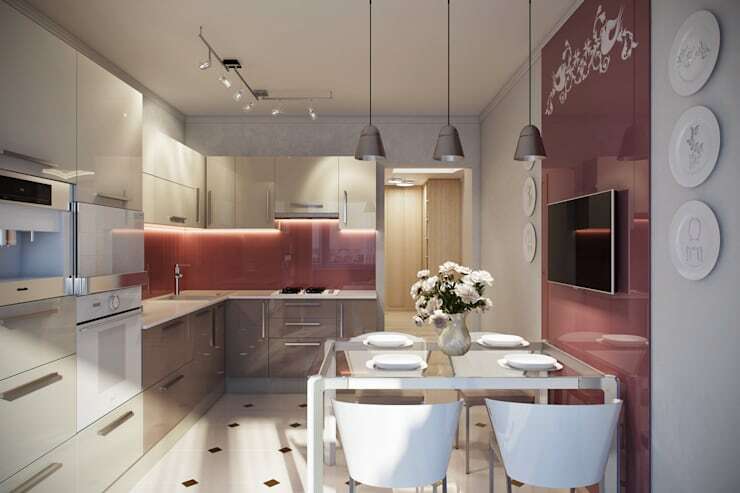 What colour could be a worthy follow-up to the lilacs and rosy pinks we’ve already discovered in this apartment? How about opulent gold, which flaunts its decadent side most splendidly in the living room? To make this room appear soft and inviting, a firm amount of plush fabrics have been added in, including the deep-pile rug, scatter cushions, soft sofas, and drapes for the windows. Who wouldn’t want to just sink away in lavish luxury in this living room? Of course it’s not just about looking pretty; this living room is way ahead in terms of entertaining us as well, flaunting a fantastic flat-screen mounted against the wall. 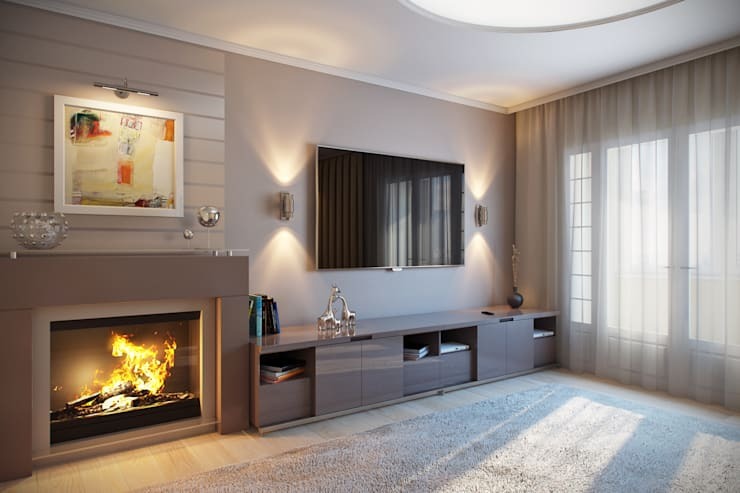 And for when things get a little chilly, a roaring fireplace comes to life to make the interiors feel all toasty and cosy. 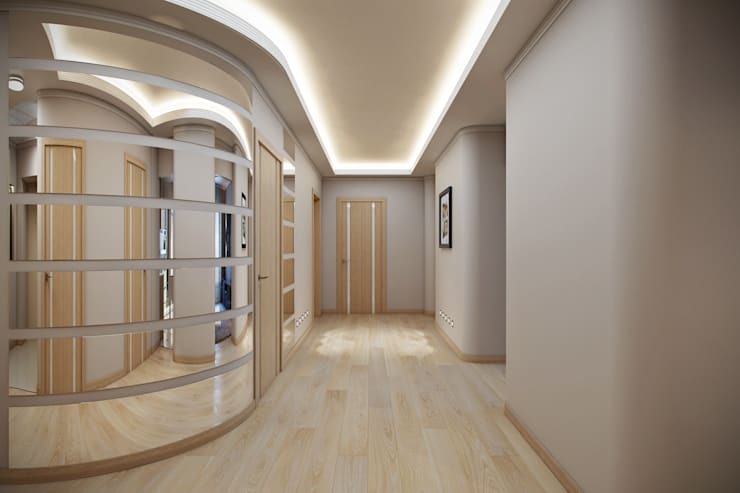 Even though the main function of a hallway is to connect various rooms, this particular one is a visual delight and it would be such a treat to actually get to walk through it. The use of curved walls, mirror panels, soft grey hues and a natural wooden floor all combine beautifully to create an area that is simply irresistible. And then we don’t even mention the striking lighting design, which makes the ceiling appear as if it’s floating. Now this is some clever design right here! 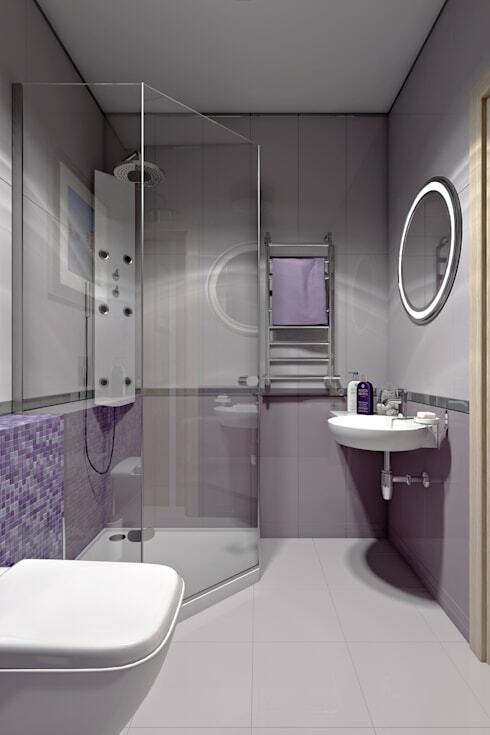 No points for guessing that purple is the favourite colour of these homeowners, for the bathroom is also decked out in this stylish hue. A little splash of mosaic tiles maintains the high-end finishes we have seen throughout the interiors, while a corner shower adds both practicality and style to a room that’s, admittedly, not gigantic in space. What a magnificent journey through a home that definitely knows how to flaunt its best side at all times! Shall we scroll back up and do it again? In the spirit of elegance, we bring you 18 awesome staircases you need to see.